Hair trends come and go, but ombre haircolor is here to stay. The idea behind the ombre haircolor trend is simple: hair is darker at the roots and becomes lighter at the ends, or vice versa. It’s a gradient haircolor technique that became a staple in the hair world, and it’s clear why. Not only is ombre an easy look to pull off, but the color possibilities are endless. Before visiting your stylist for your next appointment, get inspired with these ombre looks. There’s no doubt about it, this fiery red ombre haircolor makes a bold statement. 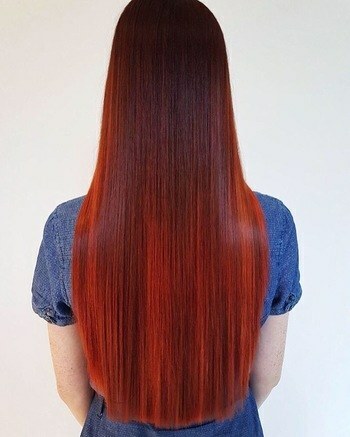 Whether you’ve been rocking red hair ever since you can remember or are going red for the first time, it’s a great way to keep your look bright and vibrant. The last thing that you want when rocking red hair is dull color. 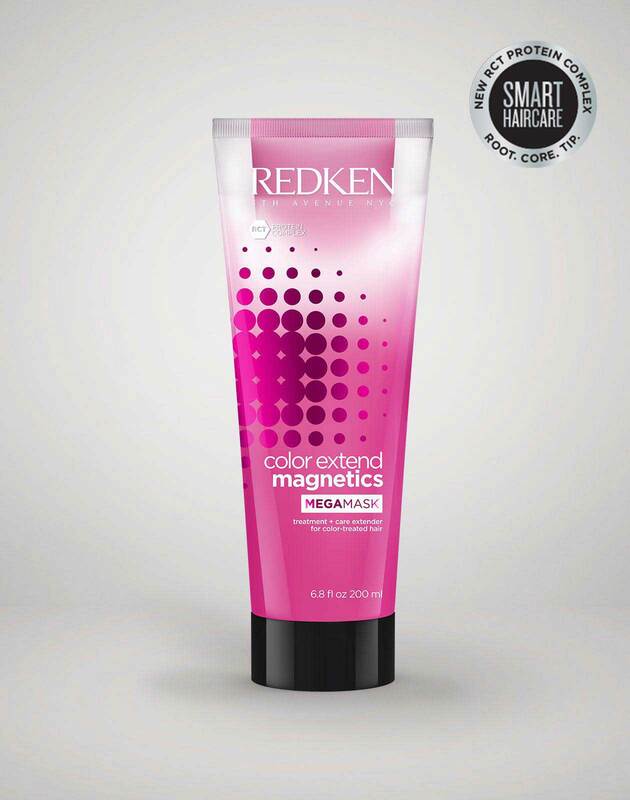 To keep your ombre red hair looking radiant for up to four weeks, use the Color Extend Magnetics System. The sulfate-free shampoo, conditioner, and mask won’t strip away your haircolor which means you can show off your ombre red hair longer. Want to step up your look beyond the traditional ombre? Blonde ends are a fun complement to red hair. To get the look, ask your stylist to keep your haircolor bright and bold red at the crown and go lighter on the bottom. 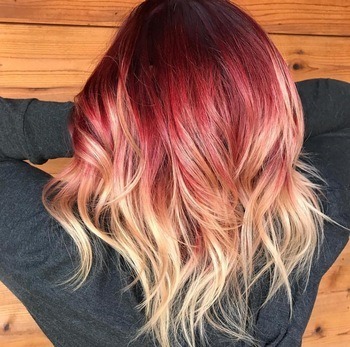 Red curly hair is best for showing off this red blonde ombre haircolor since curls can show off all of the shades going on in your hair. Bring out your hair’s natural wave by applying an air dry styling cream to damp hair. A high contrast ombre haircolor doesn’t have to look harsh, and this haircolor is a perfect example. Ask your stylist to give you dark brunette roots at the top, then blend it into a golden blonde haircolor. If you’re a natural brunette who wants to go blonde but aren’t ready to go all the way, an ombré is a good option. Ask your stylist to customize your blonde tone by providing a hair toning service. 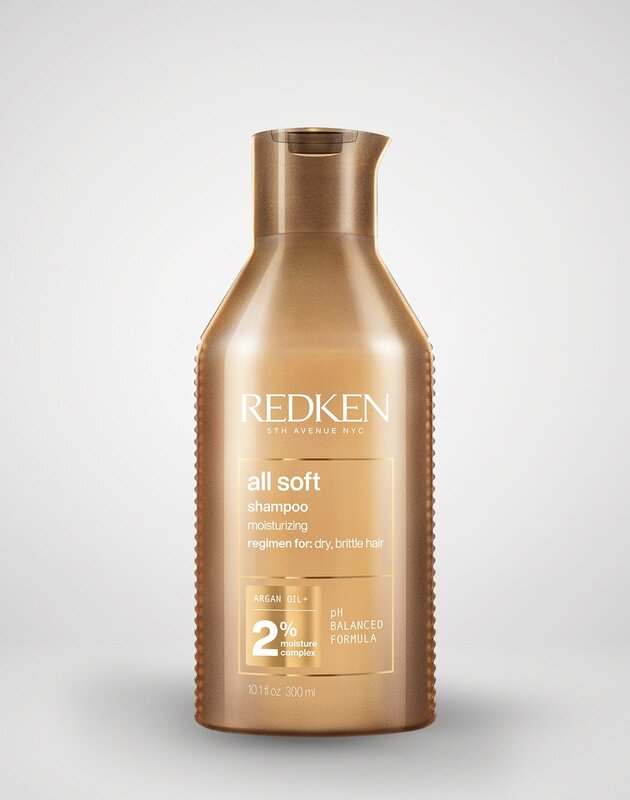 Keep the ends of your hair from feeling dry by using a haircare system that’s rich in argan oil like a softening shampoo and conditioner. 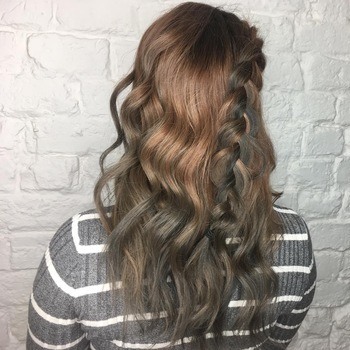 An easy way to stand out from the crowd is with a gunmetal gray ombre. Cool brunettes can add a little bit of this ashy gray hue into their hair for a softer take on ombre hair with low contrast. 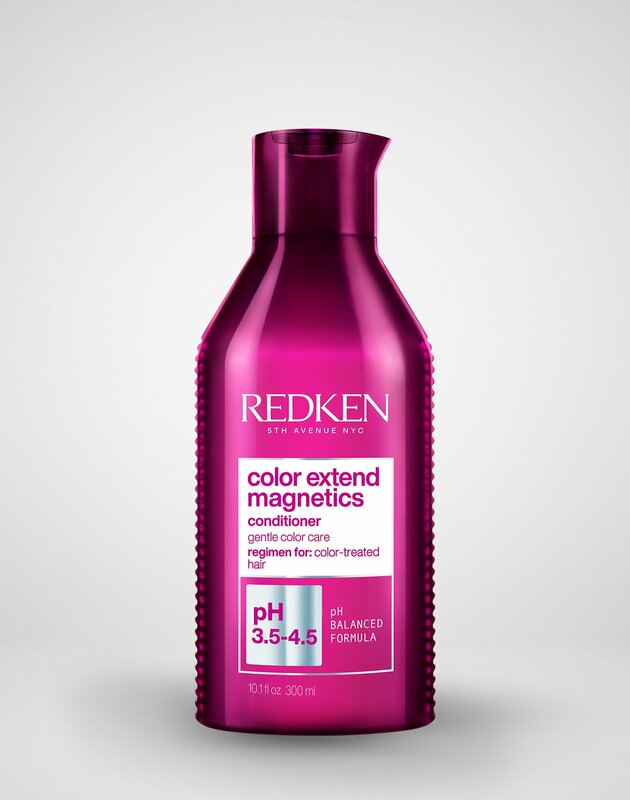 To help your haircolor pop, try using a hair shine treatment as part of your styling routine. Looking to play up your dark hair, but don’t want to go too bold? Ask your stylist to create a gradient with your haircolor by keeping the top of your hair dark and adding rose gold haircolor to your ends. You can also help keep your hair’s flyaways under control and add shine throughout the day by using a multi-benefit hair treatment spray on damp or dry hair. Sometimes you may feel like your haircolor needs a refresh, but you aren’t exactly sure how to make it happen. Instead, try the cool side of the haircolor spectrum with this ashy light brown ombre. It’s a super-subtle way to show off natural light brown haircolor, but still lets you experiment with a different shade at the ends. 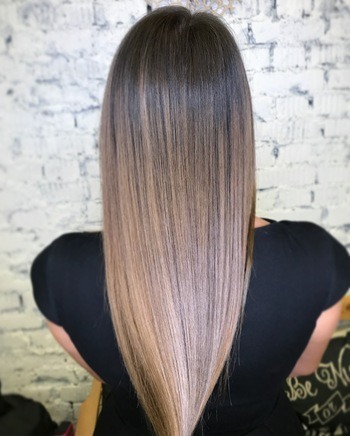 Keeping your long hair looking sleek is the best way to show off this gradient, so you can help keep frizz under control with a smoothing shampoo and seal out humidity using a smoothing spray. Maybe you’ve always wanted to trade in your brown hair for blonde but weren’t ready for the commitment. 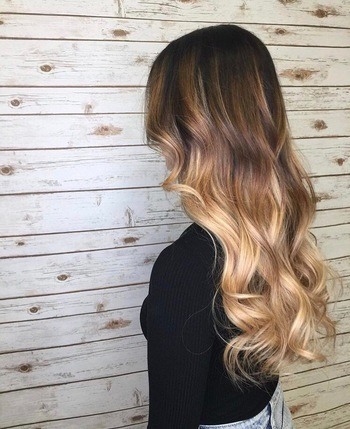 This champagne blonde ombré is a compromise worth trying. 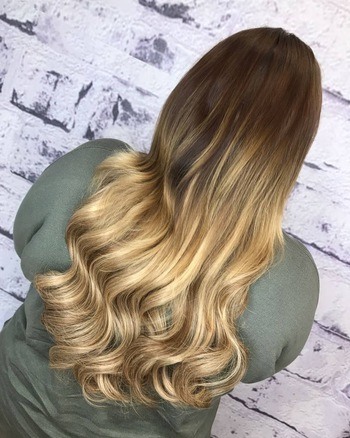 Not only is the haircolor a cooler shade of blonde that can look flattering on medium skin tones, but it’s also a good choice if you want to keep the lightening at a minimum since the blonde doesn’t go up to the roots. If you plan on using a curling iron, spray hair with a heat protection hairspray first to help it curl more easily. Do you love the look of highlights but want to keep them as far away from your roots as possible? Ask your haircolorist to add dimension to your ombre with highlights. It combines dark roots with lighter haircolor at the ends and uses face-framing highlights to brighten up the hair. Since the highlights start further down, it helps give your hair a more natural and sun-kissed effect. 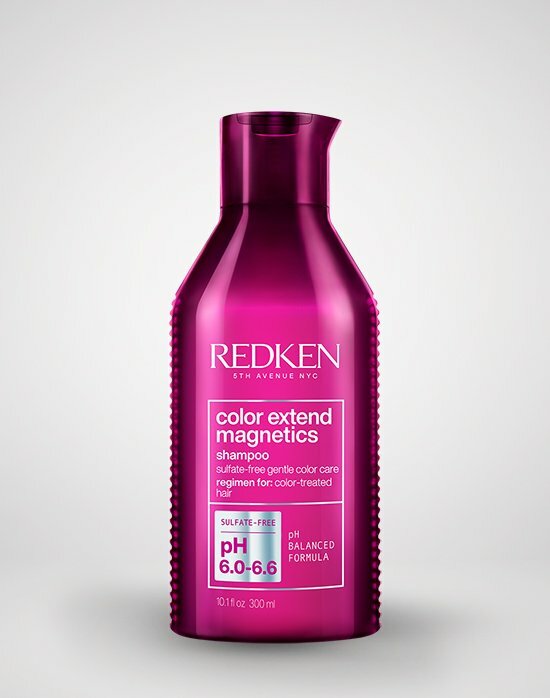 Bouncy, textured hair looks great with this haircolor, which you can create by using a texture treatment spray. An icy blonde ombre is very eye-catching, and it’s easy to see why. 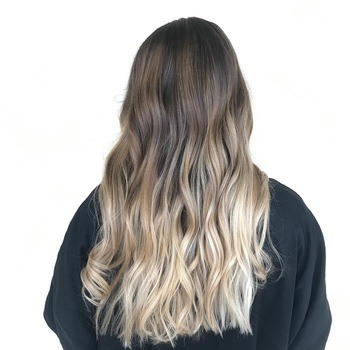 This look involves a lot of contrast since it starts off with nearly black roots at the top, then transitions into ash brown haircolor in the middle and bright blonde at the ends. There’s a lot going on with this haircolor, but the shades blend into each other beautifully, so you won’t be able to tell where one haircolor begins and ends. 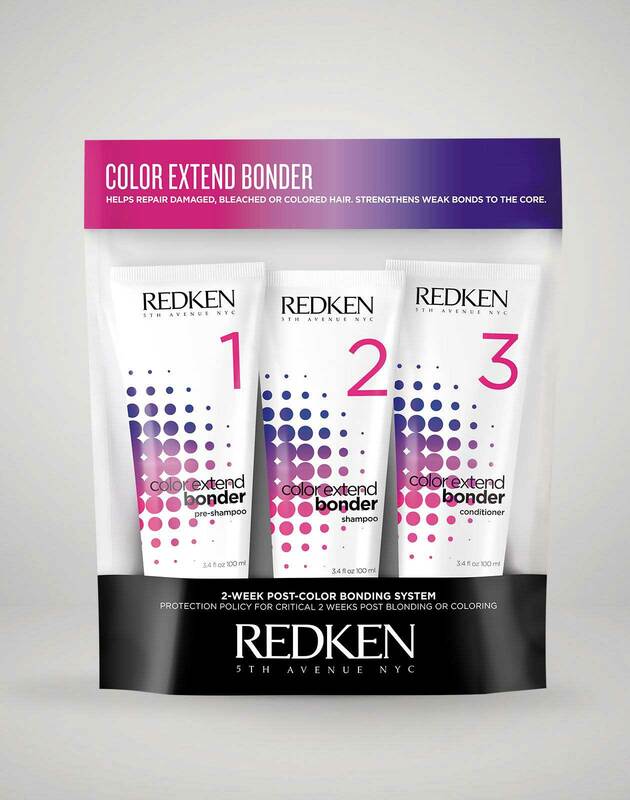 Be sure to ask your stylist about Color Extend Bonder. It’s a three-step system that can help your hair feel stronger which is important when lifting is involved. 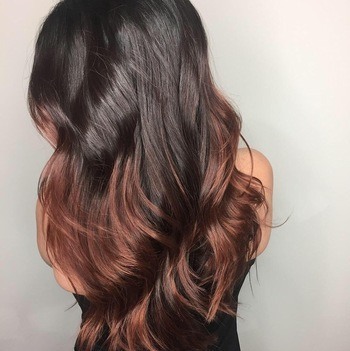 Add some warmth to your hair with this mahogany ombre. 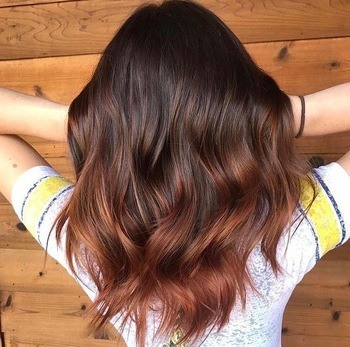 It’s a perfect color for fall and winter and can be exactly what you need if you want to go slightly lighter with your brunette hair at the ends. If one of your favorite things about this look is the shine, ask your stylist about including a Shades EQ Gloss in your haircolor service. It’s demi-permanent which means that it gradually fades over the course of a few weeks so you won’t see harsh lines later down the line. Plus, it helps boost the shine and richness in your haircolor which is always a bonus. 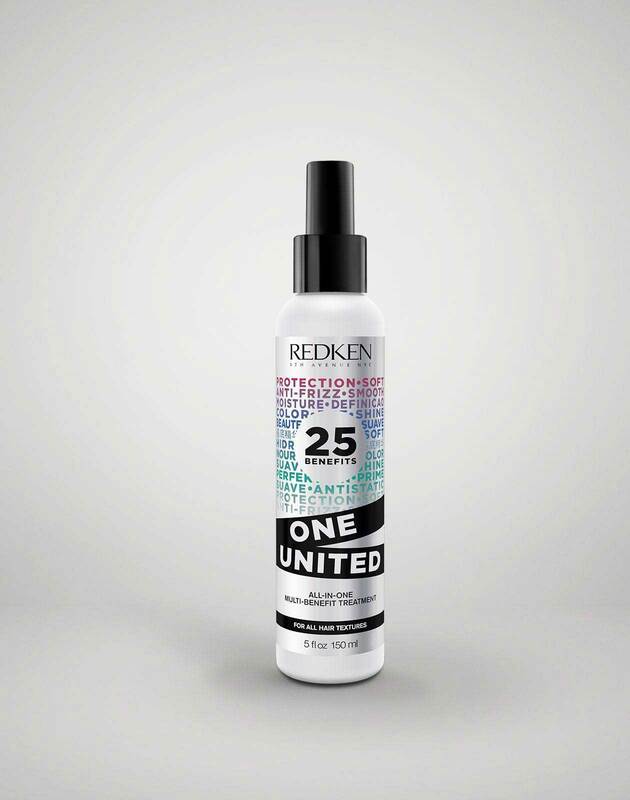 For more haircolor inspiration and tips on how to score your favorite hairstyles, follow @Redken on Instagram!